Last update 17 May 2018. This site is currently being extensively restructured and new content developed. The primary purpose of this home page is to provide links to numerous task category pages, each of which will provide significant detail concerning a specific aspect of the project. The goal is to provide efficient access to up to date logistics information so everyone involved can coordinate their activities optimally. Hopefully most pages will also provide conversation areas which will enable logged-in project participants to provide and exchange information real time. • The Vision and Rationale. * These pages have no significant content yet. "These results [his experiments] underscore the importance of shedding familiar ways of thinking in order to gain insight, Siegler contends, whether through personal intuitive force or by changing the structure of a problem." Robert S. Siegler of Carnegie Mellon University, as reported by Bruce Bower, Science News, 30 October 1999, Vol 156, No. 18, page 282. Yuko Pomily: Uniquely superb original music by a truly remarkable young composer and performer. Purchase her magic. NoSpam Notice: Unsolicited Commercial Email (UCE), "Spam", or any unsolicited subscription based email distributed on an "opt out" basis is absolutely prohibited. Do not ever send any such email to any AirplaneHomeV2.com address. 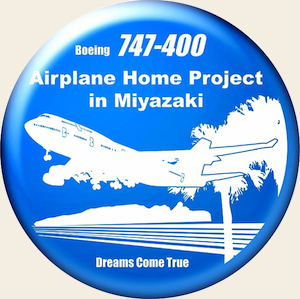 AirplaneHome, Airplane Home, Aircraft Home, Boeing 747 Home, Boeing Home, Airplane House, Aircraft House, Boeing 747 House, Boeing House. UCECage@AirplaneHomeV2.com. Report mail misconduct to UCE@FTC.gov.